One of the most common reasons for sleep disruption is sleep apnoea – when upper airways collapse during sleep, resulting in sporadic pauses in breathing that require the person to momentarily wake up to breathe. People who suffer from sleep apnoea are two to three times more likely to develop Alzheimer’s disease, says Professor Elizabeth Coulson, from the Queensland Brain Institute and the School of Biomedical Sciences at UQ. “This could be because hypoxia – lower levels of oxygen in the blood from poor breathing – causes nerve cell death,” she says. 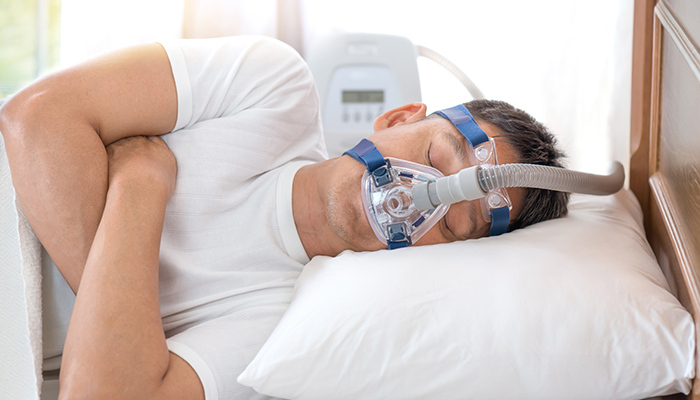 Prof Coulson’s team is beginning a study that will follow patients aged 55 to 75 with sleep apnoea over an extended period, to determine whether using a continuous positive airway pressure (CPAP) ventilator, which keeps airways open during sleep, protects against brain degeneration and lowers the risk of dementia.